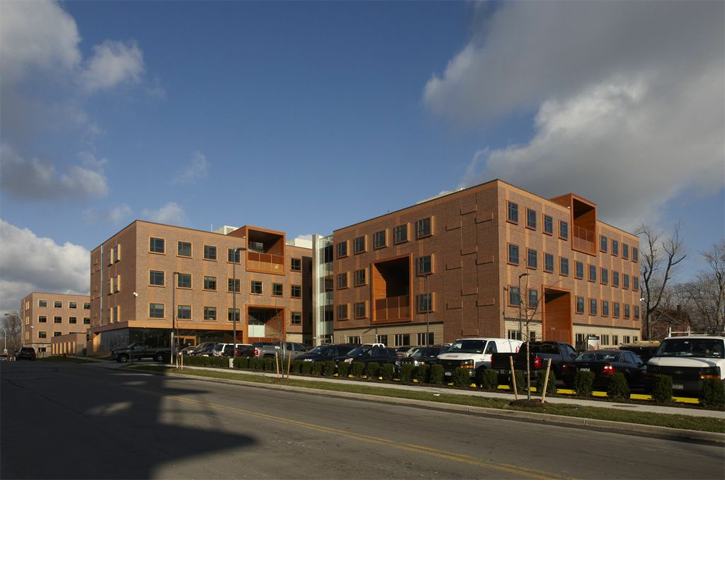 This 300 bed facility consolidates several older facilities into one new facility located on Buffalo’s medical campus. The four level facility occupies an entire city block. The step footprint and massing provide separate and secure outdoor gardens for each wing. A central wing houses common dining and exercise facilities. Unique protruding window-box seats provide expansive views of the surroundings. Super graphics 3D wall patterns, and natural colors facilitate way finding and create an uplifting environment.